Students, parents, and universities are invited to discover SCoRE® (Student Curriculum on Resilience Education®). This research-based program helps students cope with the personal, social, and academic challenges of college life. Students become resilient, confident and happy in the face of college stressors. College should be an exciting time! It’s time to bounce back and get on the right path to future success. If you're a student, click here. If you're a parent, click here. If you're a college/university administrator, click here. Discover SCoRE. Discover resilience. Discover student success. "I struggle with anxiety and procrastination; through the SCoRE program, I've learned to manage my time more wisely and lower my stress level." 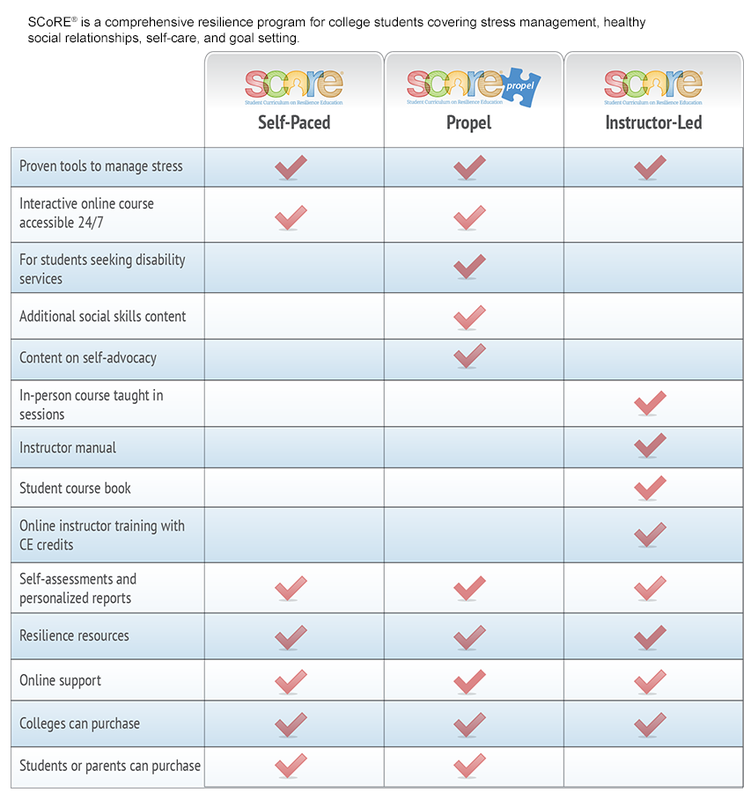 "The SCoRE website serves a great tool for both students and instructors. I found it very interactive, user-friendly, and beneficial. As an instructor, it was convenient for tracking the students' progress and presenting the material during class. I often heard students comment on the instant positive gratification they felt from the comprehensive worksheet results they received. Our course was made interactive 24/7 because of the website."